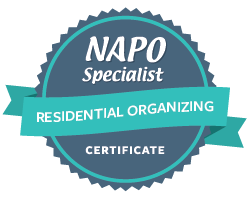 Sign up with your name & email address for the latest practical organizing tips and blogs. We respect your privacy. Thank you and we hope you enjoy our resources. Are you feeling stuck? 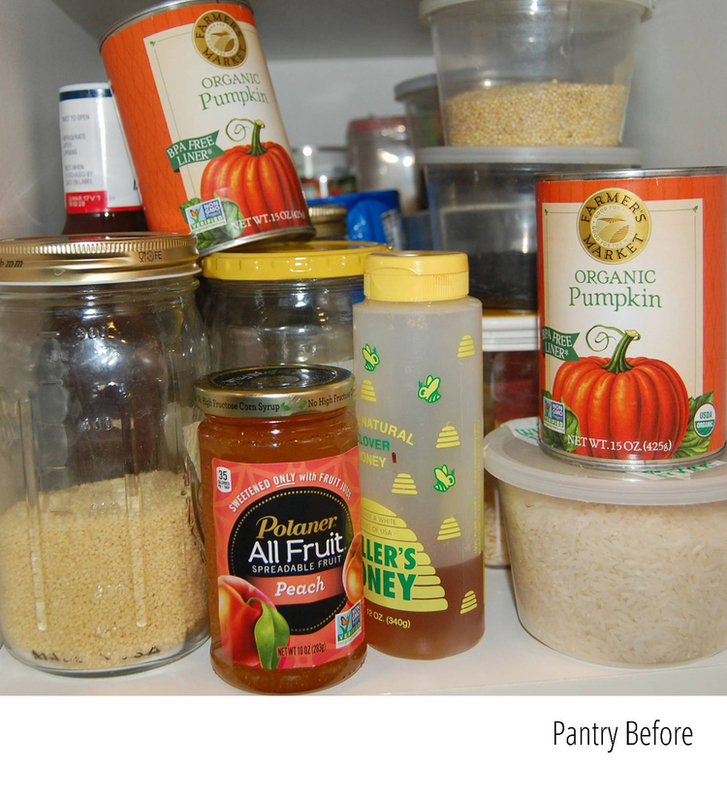 Are you acing your Home Organizing? Let's assess your organizational skills and see if you could use a few tips to simplify your life. 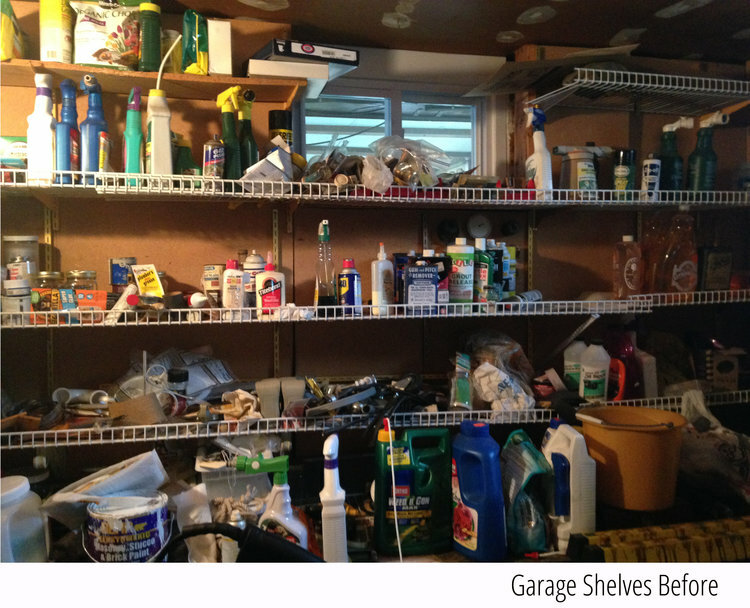 Are You acing Your Home Organizing? Take The quiz. See how you rank. 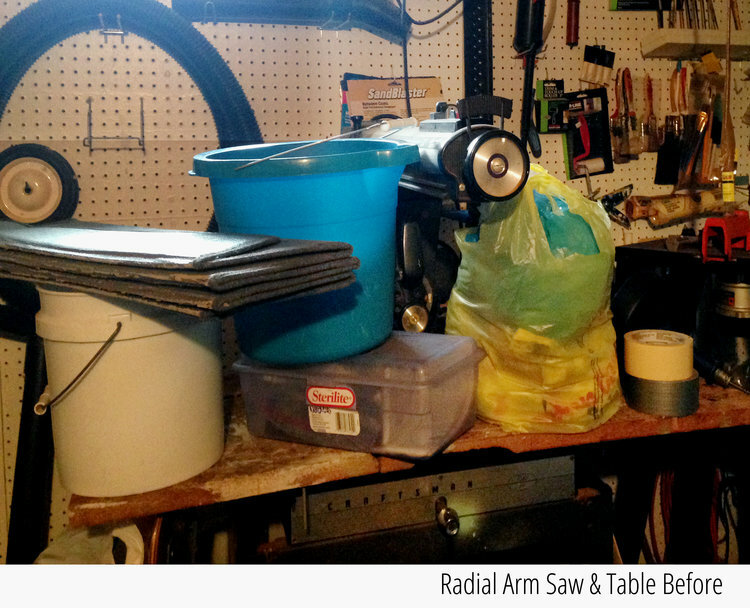 Are you an Organizing Amateur or a Pro? 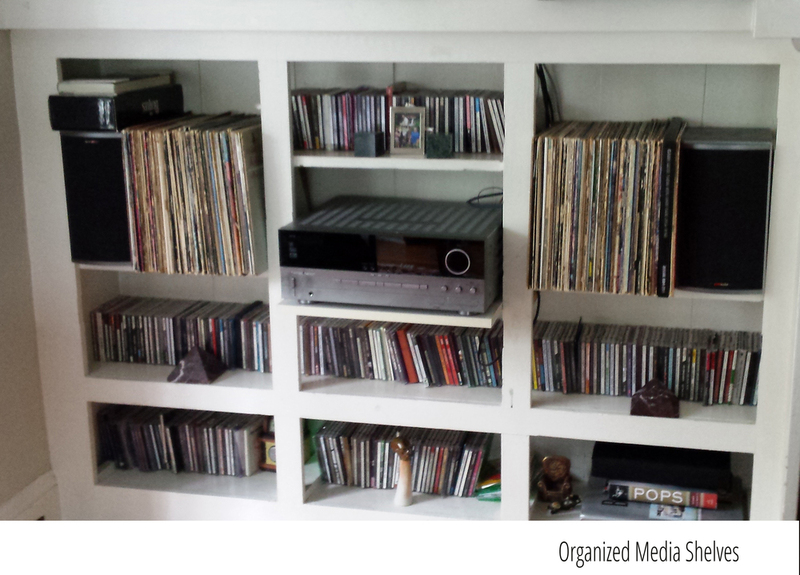 If home organizing was a sport, would you be an amateur or a pro? Organizing is a skill whether you inherited it from your gene pool or learned it through the years. With proficiency, you will rally through most of your tasks and be an ace at home management. Are you often late for meetings or appointments? Let's see how you rank. Count your yes and no responses. Schedule your inner organizer breakthrough session here. Let's build your confidence and strengthen your home life management skills today. Don't know where to begin? All of the featured spaces in the gallery below went from cluttered to organized by taking one step at a time. How will you use the space? Remove anything that does not pertain to that space or does not serve a purpose. Ask yourself why is this book, knickknack, folder, appliance important and why should it be in this room? 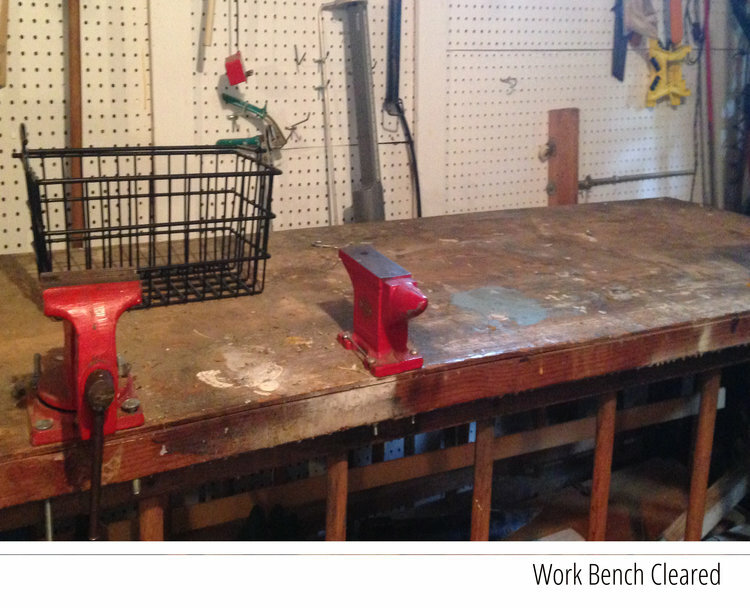 Arrange items where you will naturally reach for them and will enhance your productivity. Play around with your stuff, leave it for a few days in its new placement and see how that feels to you or works for you. Don’t like it or it is not working for you, make adjustments. Still reeling in chaos? Need an extra hand? Or Two? Contact ThePracticalSort.com or click the button below to get sorted right away. What happens now? One step at a time, of course. Free Phone Consultation—What’s going on? We will check in with you approximately 30 days after project completion to allow you time to assess your new system. We will work with you to make adjustments if necessary. As life circumstances change, our maintenance plans keep you on track. We do our best to use what you have on hand otherwise Concierge Services are available upon request for locating and shopping for storage options. Engaging an organizer brings in a fresh perspective, a new way of looking at old or vexing problems. You might think that the solution to your situation should be obvious, yet you are challenged because you are too close to see the answers that will bring about the desired change. More storage for personal items, accessories, files, etc. We removed the dark wardrobe. It consumed too much space, made the room feel smaller, did not provide adequate storage, and needed repairs. Two bookcases in an off-site storage unit replaced the wardrobe and file cabinet. 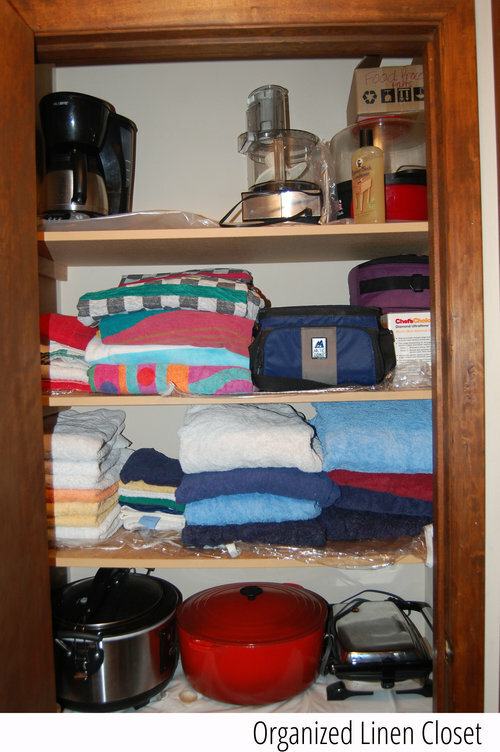 Baskets were added to the shelves to house folded shirts, accessories, cat toys and accoutrements. 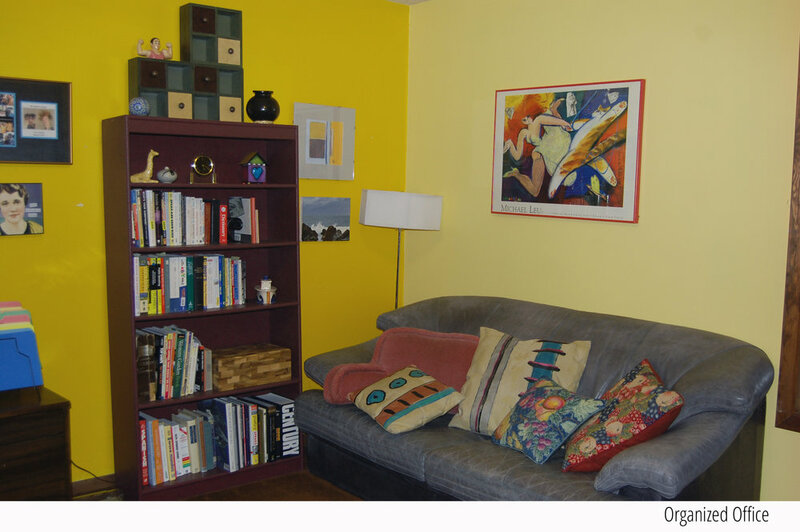 Books, photos, and decorative objects added a personal touch. Brackets were hung between the 2 bookshelves to create a hanging closet system. Curtains from a previous residence were repurposed into a privacy screen for the closet which also houses a cat feeder and hamper. Papers were culled from the old file cabinet which was removed from the room. Retained files were relocated to a credenza in an allocated office space at the foot of the bed (in the foreground). Moving the chair from the long wall to the window adjacent to the bookshelves provides the cats a sunny place to nap or watch the birds. Slowly many other changes are occurring as the transition from a 3 bedroom condo to a one residence takes shape. "Although there are still things I'd like to do with it, the room has become a PLACE where I can REST and RECOVER". Your privacy and the security of your information is of the utmost importance. 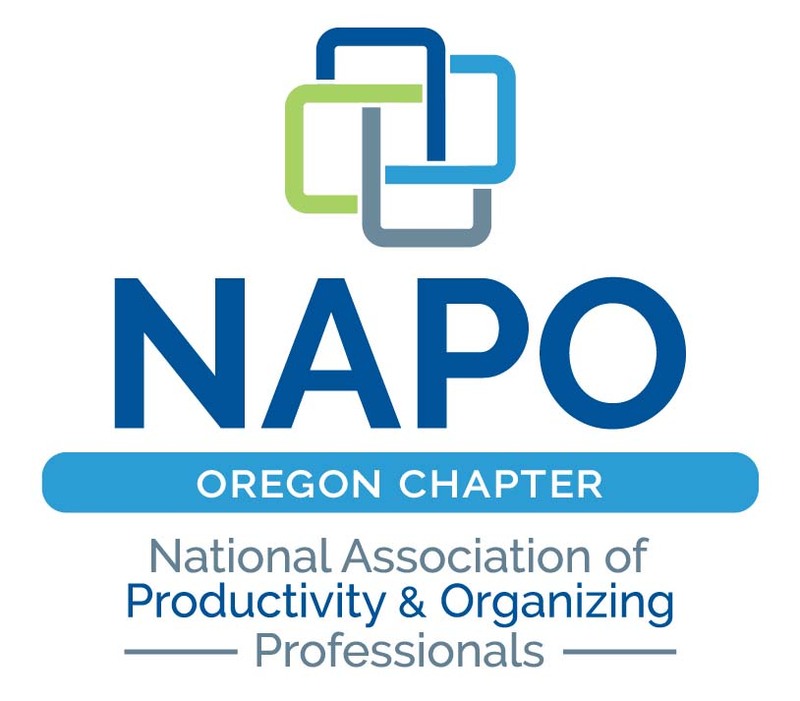 The Practical Sort is bound by the National Association of Professional Organizers (NAPO) and The Institute for Challenging Disorganization (ICD) Code of Ethics. All client information will be kept confidential unless permission to share is specifically granted by client.